SHONA VIXEN: What Do You See? I saw the birth of my dreams, I saw my foundation, I also saw the future for my yet unborn child,I saw a people as a whole with warmth, the beauty Mother nature gave us, (Victoria Falls, the Namib desert, the wildlife, the jaccarandas) I saw education values, I saw resourcefulness, I saw resources (diamonds, gold, oil, farming, coal,copper, educated people)I saw how I might be from the South I will relate to some-one from the East or West side of Africa! I saw history - the pyramids, Gora Island, Robben Island, Great Zimbabwe. I saw the cities. I saw the pride that we live with inside our hearts, I heard our many languages, I heard our great rythms. Yes, I also saw the dark-side, I saw the civil war in Darfur, I saw the Aids pandemic, I saw poverty, I saw the pain we go through in the diaspora to be who we are, I saw the struggle of past and present, I saw the stereo-types they give us, I saw the silent tears we've shed just because of where we are from, I saw it all BUT I also saw HOPE!! When you see this map what comes to mind and what do you see?? Am i reading right? U leaving? u're bidding us farewell? Let me go back and read. @Tigeress - yes you are first!! and yep u're reading right m bidding y'all farewell and m sorry no prior warning on that one ay twinny..lol!! Shona...after we Nigerianized you...you want to leave us? @Rita - Ay once Nigerianised, forever Nigerianised! !..lol...and thanks!! Shona thank-you for the shout out! 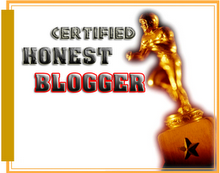 Shona is it true you're saying farewell when I just started blogging! You will be missed! @MBLS - Ay its all about Southern loving..I handover the Zim flag to y'all and fly it high as always!! I'll still be following all my fave blogs so you'll see me over @ your digs!! I really love that post...I'll check out the new blog and in as mush as I dont wanna say goodbye, I know u've made the right decision. What do i see: boundaries that are nonexistent on the ground. I knew the end was near. Oh well farewell and do come around to visit. But why are you leaving? Will you be doing blog rounds? All the best dear. PS Thanks for the blog-love! @Azazel - What's making you sad? The thought of Africa? @NiceAnon - and visit I'll try my best to visit..one never forgets their loved ones!! 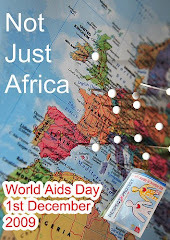 @MyneWhitman - i love that one - Africa = my heart, my home!! I heart Africa too!! Yes I'll still be doing blog rounds or try too..i'll definitely come to yours coz well m hooked on that story!! @Vimbai - Hesi dhiya! !And Greatness is upon you thats why this girl has to focus on the bigger picture..I will be sending you a signed copy and in return you buy 20 copies..lol! You know m not gone from your spot though coz thats my chill out zone!! @MDM - Gurrrrrllll!! Where u been? I stalked n stalked n stalked ya till i gave up..and thought i might as well throw in the towel..so its kinda your fault!..lol!! LOL@ Judas Iscariot..so Zimbabwean..LOL!! Sorry boo how about I amend that list and put u back there..but where u been though?Heeeeh??? Oh Gosh not you! you are leaving! 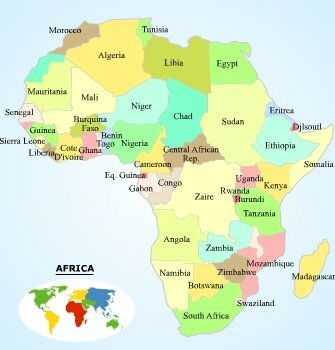 When I saw the map I looked for Zimbabwe first yey! But Akon song started playing in my head---- Mama Africa. Thanks for the shout out! Still sad you are leaving! 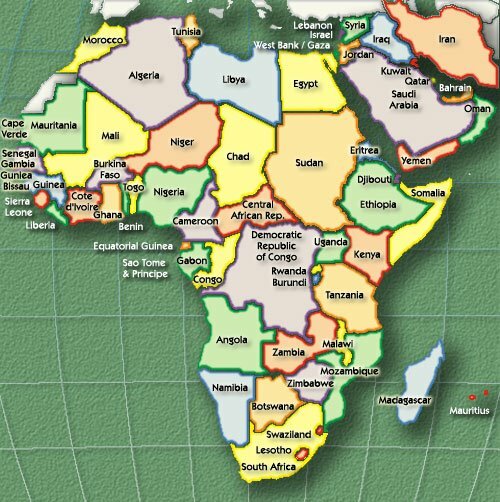 @Hadassah - You do know I put that map to also school those who actually don't know where Zimbabwe is on the African map :)...aaah that Akon song reminds me of a trip to Gatwick when that song was on repeat coz we were going to visit Mama Africa!! The first thing that came to mind was 'Nkosi sikeleli Africa' (God bless Africa) and now I'm humming that tune. You came and made your mark, blogville will miss you BUT more will welcome you! Just to shout out tp everyone that Miss Shona Rocks. Yeah when I see the map I think of my country. Hol up what are these comments I am reading about you leaving? Please don't go, don't gggggggoooooooooooooooooooooooooooo. ...but if you must I wish you the best, we'll still communicate beyond blogville. and to think i just returned after being awol for more than a year! Plz dont go!!!!!!!!!!!!! And you know that Fabo tune is my anthem..its me o'clock!! @Non-Non - of course our kiddos are going to be friends and play mahumbwe, chisvero, raka-raka, arauro & of course country game wiv mine being USSR..lol!! ooooh now m on a role lemme email u about these childhood games..LOL!! @Thirty+ - Yes girl tell them! I ROCK(rubbing my shoulders and doing a cool dance)! Girl, I might leave blogville but there are a select few who will always know what m upto and stay in touch with n you my dear are one of those!! hmmm, I can really relate to that statement. I really admire the whole African culture and I wished that all Americans can experience what I have experience in a whole. @Oyin - I hear you girl!! Its a feeling that you can only experience to understand it!! you have succeeded in making avery happy person feel sad. So you leaving finally this time? I see The Motherland - birth of all civilization. Where's the good in goodbyes?...I hope your exit is for a just course.all the best...you'd be greatly missed. Sista, a new blog post is long overdue! PS I've tagged you, come over to my spot! hey what happened to the AIDS post?????? Im so gutted you are leaving, you have such a popular blog! I will miss you miss Vixen!